The amount calculated for policy 1 is the equivalent shortfall in earnings minus 60%, which is then deducted from the maximum amount of cover available. 60% is deducted as LV= reduce the amount payable by 60% to take into account any continuing employer income. This figure is based on the maximum amount of cover available (60% of your client’s monthly gross pay) minus the amount of cover available under policy 1. The final figure is the total amount of money we’ll pay your client under both policies. If your client takes out two LV= income protection policies (as part of our Flexible Protection Plan) they will get a £1 discount on both income protection policies. 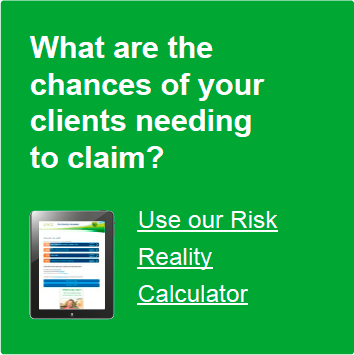 This calculator is for LV= FPP Income Protection only, not Personal Sick Pay. Please note, for Income Protection, LV= only offer waiting periods of 1, 2, 3, 6 & 12 months. Some clients don't always have straightforward sick pay arrangements. They might get paid 100% of their salary for the first six months, followed by 50% for another six months. In such cases, writing two separate income protection policies with different cover amounts and waiting periods could be appropriate. 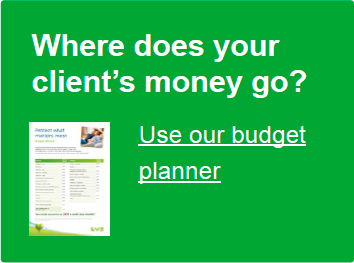 This easy-to-use calculator will help you recommend the maximum amount of LV= Income Protection available, based on your client's current earnings and employer sick pay arrangements*. This calculator is for clients who receive full and half pay sick pay arrangements from their employer. Please speak to your account manager if your client receives different employer sick pay arrangements.